Election night is always exciting. This year's election also brought a spoonful of anxiety and uncertainty, as talking heads suggested presidential results might not be known for days or, worse yet, weeks. I decided to follow the results on the radio, bucking all the modern day technology and network commentators in favor of NPR. I settled into some sweats, cracked a PBR, and went to work on some new shelves for my gear den with the radio commentary pulsing along in the background. I don't think I mentioned how excited I was to install these shelves. Over the last two years, my gear has swum in circles as I moved last season's gear to the side for the new season's adventures. The cycle repeated itself and I often struggled to find the headlamps for camping or the ski gloves for... skiing. 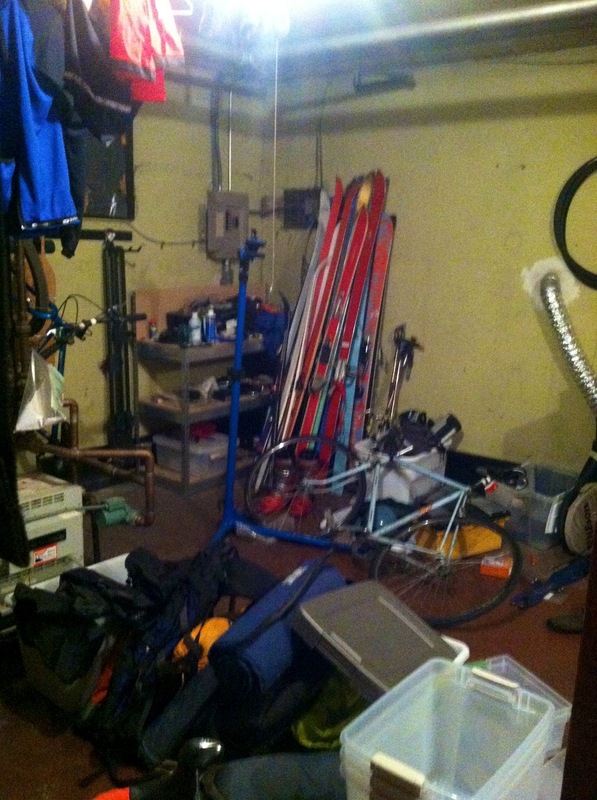 Finding open space for ski tuning or bike work was a monumental task. Pieces were really falling into place when I got a call from KTT, the most politically-connected-summer-camp-fundraiser I know. 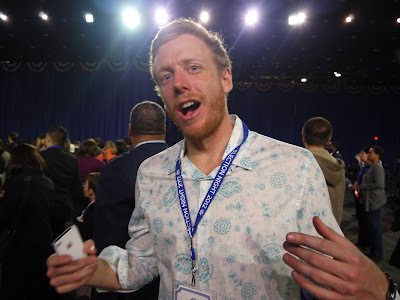 KTT happened to have an extra pass to the Obama election party at Chicago's McCormick Place convention center. I was torn. Gear shelves vs. experiencing historic moment in US history? Radio coverage vs. hearing Obama speak in-person? After much hesitation, McCormick Place won out. The election was called earlier than most expected (2008 all over again), with Obama declared the victor right as we arrived at McCormick Place. 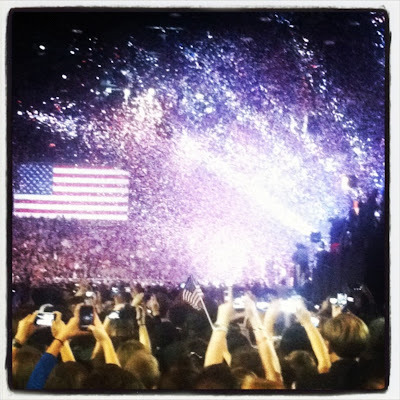 It was several more hours before Obama's victory speech, but worth the wait. The most memorable aspect of it all was the true diversity of the crowd that had assembled to honor and support Obama. 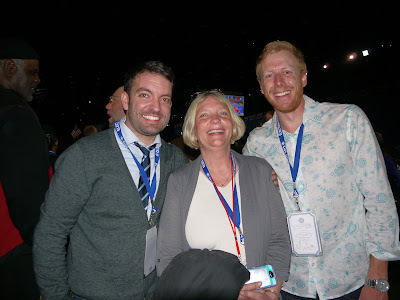 KTT and I, and a chance encounter with Mr. Kinney. Candid? You want candid? You already took it? Obama's re-election is well known. 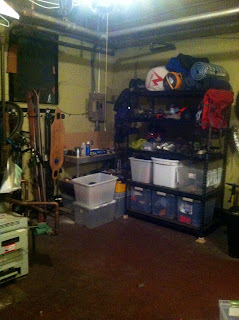 But the world wants to know: what came of the gear den shelving project? It was not abandoned! The shelves were completed soon after the election and the den has been operating at a brand new level of efficiency. Will it last? Time and adventures will tell.